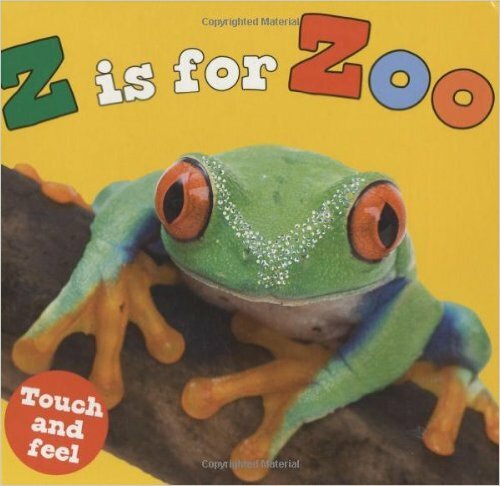 This week I've been doing Zoo-themed storytimes with our Storytime-To-Go program, and when pulling one of my favorite books to use, Wild About Books, I discovered one by the same creative team that the kids liked even better, Zoozical. I decided to use both of these, along with a book with photographs of animals today for my regular storytime. We started with our welcome song, then I gave them clues about what our theme was for the day, and they soon guessed it. We all shared what our favorite animal at the zoo was, then we sang our story song to help us settle down and get ready for our first book, Wild About Books by Judy Sierra and Marc Brown. This is a really cute story about a librarian who drives the bookmobile to the zoo mistake, and soon has the animals all reading books. They like reading so much that they decide to try writing their own stories. 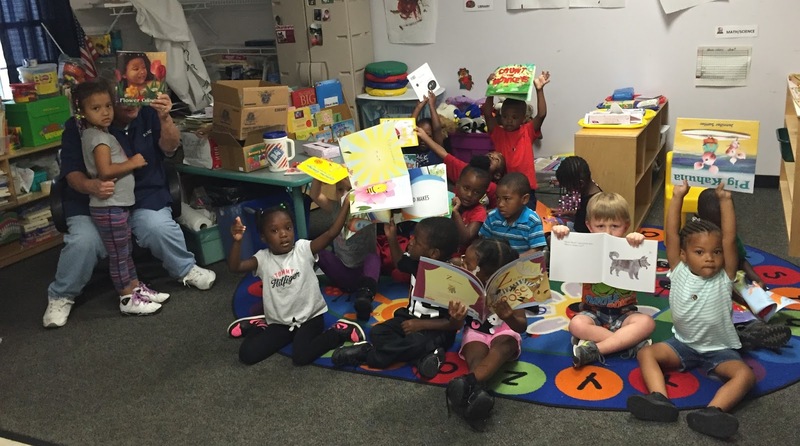 Soon they have enough books to build their own zoobrary. This is great for older kids and/or family storytime as there are several inside jokes and puns that add humor, and it is written is Seussian rhyme as an homage to Dr. Seuss. If you're a monkey and you know it, say "Oooh, ooooh; eeee, eeeee"
For our second book I chose one with photographs of real animals, Z for Zoo by Roger Priddy. This book is a large board book with short, simple text and a couple of flaps to lift, so it is very good for younger kids, and I thought would give a nice break betweeen the two longer books in Suessian rhyme. We ended up not really reading the text, but letting the kids identify each animal, and then I'd tell them one or two interesting facts. 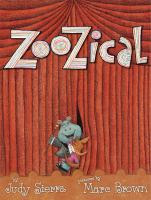 Since our final book incorporates several typical storytime songs, I didn't stop to do an activity, but went on to the last book, Zoozical, also by Judy Sierra and Marc Brown and clearly inspired by the musical Seussical. In this fun story, the animals are all bored and grumpy because it's wintertime and no one is coming to see them, and it's too cold to be outside. A young hippo and kangaroo start hopping around dancing and soon all the other animals are drawn by the hip-hop beat. They are having so much fun, the animals decide to put on a musical show, a "Zoozical". The animals all sing familiar songs, changing some of the words slightly to fit them. After that, we sang our closing song and passed out stickers, then I got to do one of my favorite things, give the kids books that they get to keep and take home as part of our summer reading program! At the beginning of the summer, we pass out reading logs to each class, and they check off boxes for every time they read for 20 minutes or visit the library, with a goal of 30 for the summer. Then at the end of the summer, we deliver prize books to everyone that participated as a reward. We have board books for babies and toddlers, picture books from preschool through kindergarten, and early readers and beginning chapter books for any school aged kids. I bring a large selection and spread them out on a table so the children can look over them and pick out one they like. 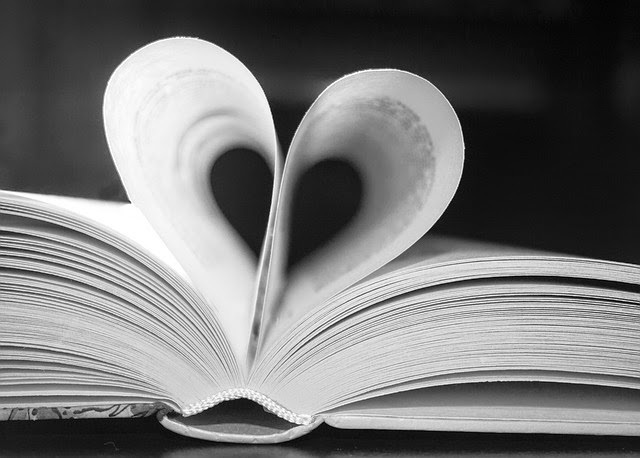 Some are very decisive, some agonize over picking the perfect book, and the little ones are a bit overwhelmed and don't quite understand, so the teachers have to guide them, or choose for them most of the time, but everyone gets a book! When I arrived, the kid were all sitting on the floor waiting for me, so still and quiet it was almost eerie; that didn't last long, LOL! 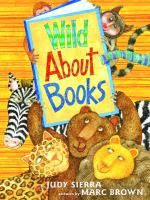 Though they were enthusiastic about the topic, Wild About Books didn't seem to hold their interest at all. I think it was just a little bit too sophisticated for them, but groups with just slightly older kids have really enjoyed it in the past. Zoozical fared a bit better, since it had snippets of a number of songs they were familiar with and they sang along with some of them. The first group I read this book to on Wednesday actually applauded at the end, cheering "Bravo, bravo!". They did really like the photographs in Z is for Zoo and getting to imitate animals with the song we did. They were very excited about getting to pick out their very own book to keep, and the staff was very appreciative as well. It is so rewarding to see their faces light up when they find the right book. 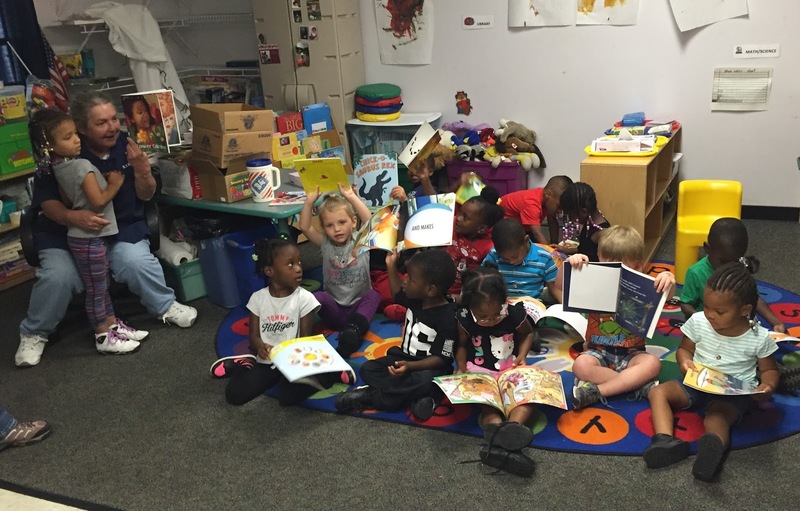 This group was so engrossed in looking at their books, I had a hard time getting them to look up at the camera and hold them up! Review of "Creepy Pair of Underwear!"